본 연구는 환경 위험과 같은 부정적 상황에서 야기된 불안과 분노의 위험 감정이 문제에 대한 상황 인식 변인들과 상호작용하여 SNS 이용자의 커뮤니케이션 행동 의도에 미치는 영향을 살펴봄으로써 SNS를 통한 위험 커뮤니케이션에서 위험 감정의 역할을 탐색하고자 했다. 이를 위해 페이스북을 사용하는 만 19세 이상 성인 남녀 317명을 대상으로 싱크홀 현상과 관련된 온라인 설문 조사를 실시했다. 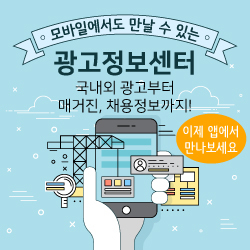 분석 결과, 위험 감정 중 불안감은 공중의 SNS 정보 선택, 정보 전달, 정보취득 의도에 직접적인 영향을 미치는 것으로 나타났다. 분노감은 정보 선택을 제외한 정보 전달과 정보 취득 의도에 직접적으로 영향을 미치고 있었다. 나아가 SNS 정보 선택 의도에 대하여 문제 인식과 불안감, 관여 인식과 분노감의 상호작용 효과가, SNS 정보 전달 의도에 대해서는 문제인식과 불안감의 상호작용 효과가 통계적으로 유의미하게 나타나, 위험과 관련한 문제 상황 인식과 SNS 커뮤니케이션 행동 의도 간에 위험 감정, 즉 불안감과 분노감의 조절 효과가 부분적으로 존재하는 것을 확인했다. The aim of this study is to explore the role of risk emotions in risk communication through SNS by examining the interactional effects of anxiety and anger with situational cognition variables on the SNS Users’communication behavior intent surrounding the negative situation like environmental risk. Therefore, this study was conducted an online survey of 317 adults users of Facebook on the sinkhole phenomena. According to this study, some interesting results were shown. First, information selection, information transmission, and information acquisition intent of Facebook users’ were directly affected by feeling of anxiety out of risk emotions. Second, only two variables, which are information transmission and information acquisition intent of Facebook users’ were meaningfully affected by the feeling of anger. Last but not least, the moderating effects of anxiety and anger were partially confirmed between problem situational recognition and SNS communication behavior intent. Be more specific, interaction variable between problem recognition and feeling of anxiety, interaction variable between involvement recognition and feeling of anger were statistically significant in terms of information selection intent. In addition, interaction variable between problem recognition and feeling of anxiety in terms of information transmission intent was statistically significant as well.